As an IWL Student Advisory panel member and Program Coordinator, my true passion has been helping other women feel confident and succeed. Lean In Circles were created by Sheryl Sandberg to bring women together and build them up instead of tear them down, so they are a great fit for us. IWL brought Lean In Circles to campus two years ago. This past semester, we met on the first Wednesday of each month in the IWL suite, in a small, comfortable group setting, addressing a different topic at each meeting. February was all about goals and organization. Students gathered together, discussed what we wanted to achieve and how to get there, and each of us created a Bullet Journal. Creatively, we designed ways to help stay on track with our weekly, monthly, and yearly goals. Each of the students met new people at the Circle, and we all worked to start the semester off right! In March, we focused on confidence and positivity. Research shows that if you’re happier, you’re also more confident. 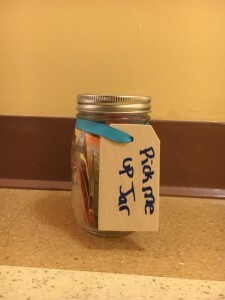 The creative aspect of this Circle was designing “pick me up” jars that hold positive messages so when you’re having a bad day, you can get positive vibes. 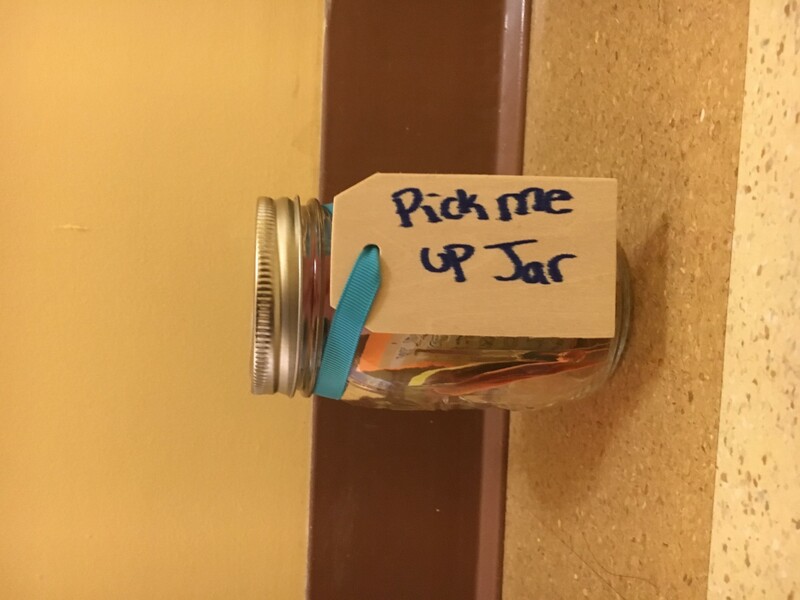 The students chatted about things that make them feel less confident and how the jars could have a positive impact on their lives. 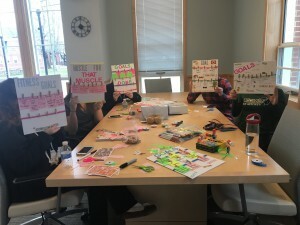 April was our final Lean In Circle of the semester, and the activity was to create a summer goals board. We discussed how when you write down goals, you are more likely to remember them and therefore more likely to achieve them. The goals could be about anything, like losing weight, going on adventures, eating healthier, or just catching up with old friends. Academic, personal, and professional goals were all created. Students got creative, had fun, and leaned on each other for motivation and support. Through our Lean In Circles, women around campus have learned about confidence, leadership, and how to lean in together in a confidential setting where they can be themselves. Keep your eye out for next semester’s Lean In Circles! Or if you have ideas for a topic, email us at iwl@nichols.edu.